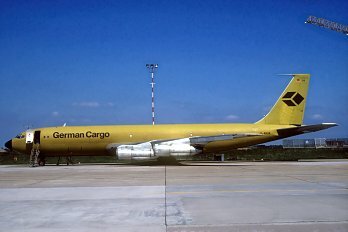 Boeing 707-330C D-ABUA in German Cargo livery. 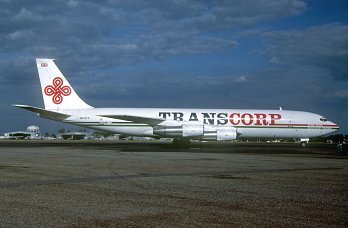 Boeing 707-330C D-ABUA in Transcorp livery. 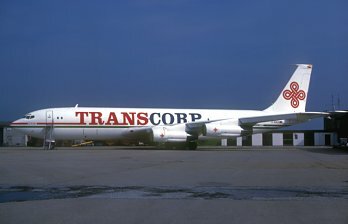 Boeing 707-330C VR-HTC in Transcorp livery. 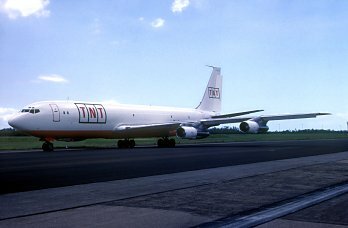 Boeing 707-330C VH-HTC in TNT livery. 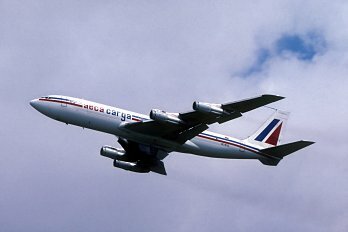 Boeing 707-330C HC-BTB in AECA Cargo livery. For reasons of completeness, Australian 707 operators other than Qantas have been recorded on this website. This page describes the former Lufthansa Boeing 707 freighter which was operated by Ansett Air Freight. Delivered to Lufthansa as D-ABUA. Registered VR-HTC to Transcorp Airways. Named Brisbane. Registered to Ansett Air Freight as VH-HTC. Operated in TNT colours. Stored at Perth as VH-HTC. Sold to Global Air of Bulgaria as LZ-PVA. Registered HC-BTB to VIAMA of Ecuador. HC-BTB AECA Cargo of Buenos Aires, Argentina. Withdrawn from service and parked at Latacunga, Ecuador. Subsequently broken up. Added an image of the aircraft in German Cargo livery as D-ABUA. 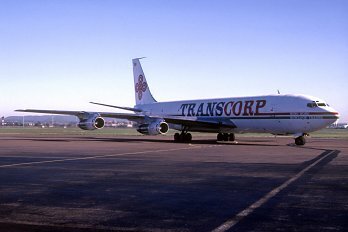 Added an image of the aircraft in Transcorp livery but still registered D-ABUA. Added an image of HC-BTB and a second image of VR-HTC. A combined RAAF/Ansett page was split into two separate pages.